Body Shape 1 - Hourglass, also referred to as figure8. This is the balanced body shape [BBS]. Hourglass can be styled effortlessly as the size of the shoulders are proportionate to the size of the hips. This body shape is considered the best body shape. Body Shape 2 - Banana or Straight Body Shape: Here shoulders, waist and hips are all roughly the same measurement, there is no defined waist. To balance up this body shape you need to create the illusion of a waist. Add fullness or volume to the shoulder as well as the hip area and then apply features like bold or thin waist bands or even use belt to define your waist. 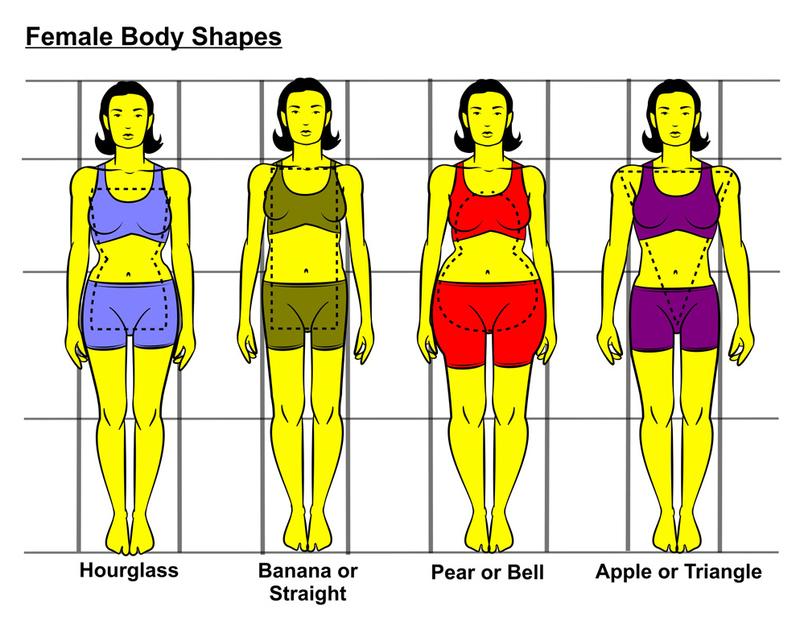 Body Shape 3 - Pear or Bell Shape: Hips are wider than shoulders. To balance up this body shape, accentuate your shoulder area with tops that have volume like capes, puffy sleeves, highly decorative tops as this will create fullness at the upper half of your body. Be sure to avoid bottom wears that have volume. A pencil skirt or pant works here. Body Shape 4 - Apple or Triangle Shape: Shoulders are wider than the hips. In other to balance triangle body shape so as to achieve a good garment fit, be sure to add volume to your hip area. You can achieve this with full skirts, pleats, gathers and gores while sticking to tops that hug to the body and with minimal decors. Identify your body shape, observe the principles and you will be happy you did.